On November 7, Japan and China revealed they had reached an understanding on their differences that would allow for a resumption of diplomacy. After several years of a virtual shutdown in bilateral talks, Japanese Prime Minister Shinzo Abe and Chinese President Xi Jinping are preparing to meet face-to-face at next week’s APEC meeting. Economic needs may be driving Xi, but strategic concerns are on the top of Abe’s agenda. The basic understanding Beijing and Tokyo announced today was outlined in carefully crafted language, and suggests a cautious first step for Xi and Abe at the upcoming APEC meeting. Nonetheless, the two governments agreed on four points. First, Beijing and Tokyo noted their desire to return to “a mutually beneficial relationship based on common strategic interests,” the phrase used to describe the forward-looking relationship announced in the May 2008 summit meeting between President Hu Jintao and then Prime Minister Yasuo Fukuda in Tokyo. Second, they recognized the need to overcome “political difficulties,” and included here the need to follow the “spirit of squarely facing history.” This ostensibly would include potential Yasukuni Shrine visits by the Japanese prime minister. Third, and perhaps most difficult, the two countries found a way to express their differences over their East China Sea island dispute that did not in fact back away from each country’s official position on the sovereignty over the Senkaku Islands (or Diaoyu Islands as China calls them). Beijing and Tokyo acknowledged their different views on “the emergence of tense situations in recent years in the waters of the East China Sea, including those around the Senkaku Islands,” and then went on to say they would build a crisis management mechanism and prevent deterioration in the situation. Finally, Japan and China agreed to meet bilaterally and in multilateral settings to gradually resume relations, and to “make an effort to build a political relationship of mutual trust.” That they stressed the need to meet in normal diplomatic settings reveals just how deep the break has been. After decades of diplomatic ties, it would seem that Beijing and Tokyo feel they need to start all over in an attempt to build trust. After having their militaries face off across the East China Sea, this may take some time. In Tokyo, the question remains whether this is a tactical shift by China in advance of the APEC meetings, or if it signals a true desire to address longstanding differences and solve shared problems. The potential breakthrough follows a period of mounting tension. Within a space of four years, the region and indeed the world watched with growing alarm as Japan and China seemed increasingly poised for military conflict. Competing sovereignty claims over the Senkaku Islands stoked intense and complex domestic emotions in both countries. Passions in Japan grew heated when a Chinese fishing captain deliberately rammed two Japan Coast Guard vessels in 2010 near the disputed islands. In China, longstanding anti-Japanese sentiment boiled over once again in 2012 when the Japanese government decided to purchase the islands from their owner to keep them out of the hands of a nationalist governor determined to demonstrate Japanese sovereignty. It was at this point that the Chinese government decided to send its own maritime patrols to the islands to demonstrate their sovereignty. Neither government had experience handling the military tensions that grew along with the worsening territorial dispute. By the end of 2012, Chinese planes began to fly near (and at times above) the territorial airspace; Japanese jets scrambled in response. Japan clarified its air defense rules of engagement, telegraphing to Chinese aircraft how it would respond to incursions into Japanese airspace. A Chinese naval vessel locked its fire control radar on a Japanese MSDF ship, prompting a formal protest and a Chinese Ministry of Defense investigation into what happened. And in November of 2013, the Chinese MOD announced it would enforce a new Air Defense Identification Zone (ADIZ) that overlapped with Japanese and South Korean ADIZs. There has been no contact between Abe and Xi to date. Indeed, very little diplomacy has been possible, leaving many worried about the lack of available channels for managing crises. While the two countries had begun to consider risk-reduction measures after the 2010 fishing trawler incident, including a hotline between defense officials and a maritime dialogue involving various government agencies, the eruption of severe tensions in 2012 precluded their realization. Political transitions in both countries also contributed to the lack of diplomatic initiative. Xi Jinping’s arrival to power in Beijing and the return to power of Shinzo Abe and his Liberal Democratic Party in Tokyo meant that the two leaders had no personal ties and that the new governments needed time to develop their thinking on how to restore balance to Sino-Japanese relations. The economic interdependence between Japan and China continues to ground the relationship, although in recent months the rate of Japanese investment in China has diminished. Two-way trade was valued at over $300 billion in 2013. This year the amount of FDI from Japan, valued at $2.83 billion through July remains high relative to other foreign investors, including the United States, which only accounted for $1.8 billion of Chinese FDI. But overall foreign direct investment in China slowed by 17 percent in the first half of 2014, and Japan’s FDI was 45 percent lower than in the previous year. Japanese companies are increasingly diversifying their global FDI with China only attracting 5 percent of outward Japanese investment in the second quarter of 2014. The quiet consultations that led to this week’s understandings involved some of Japan’s most senior China hands – including one former prime minister who oversaw the last phase of high level reconciliation summitry. Moreover, most of the consultations involved Japanese visiting Beijing rather than Chinese envoys visiting Tokyo. Former Foreign Ministers Masahiko Komura (now vice president of the Liberal Democratic Party) and Katsuya Okada (now acting president of the Democratic Party of Japan) led a group of parliamentarians to Beijing in May of this year. In an interview after his China trip, Komura disclosed that his conversation with Zhang Dejiang, the third highest ranking member of the Chinese Communist Party’s powerful Politburo Standing Committee, included a discussion of the prime minister’s visit to Yasukuni Shrine. 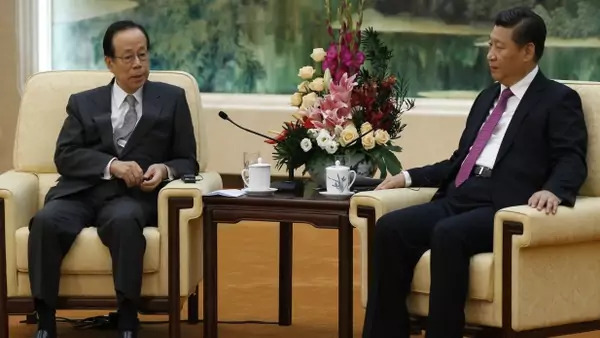 Following up on this, former Prime Minister Fukuda made two visits to Beijing, one in July and one on October 30 at the Boao Forum for Asia, meeting with Xi Jinping on both occasions. During his first visit, Fukuda also discussed the Yasukuni Shrine, but included too the need for risk reduction efforts in the East China Sea. On September 24, the two countries resumed working level talks on maritime confidence building for the first time since May, 2012. A final visit to Beijing by Abe’s national security advisor, Shotaro Yachi, this week finalized the language for today’s announcement. The timing of a Xi-Abe summit during the APEC meeting remains to be seen. With this groundwork behind them, there is not likely to be any further substantive discussion of the territorial dispute or shrine visits. But just this past week, hundreds of Chinese fishing vessels appeared off of the Ogasawara Islands, prepared for illegal coral fishing. Chinese Coast Guard patrols around the Senkaku Islands have regularized, and the two coast guards have grown more accustomed to each other. Maritime interactions may not be as tense as they once were, but they are in no way diminished. Incidents at sea remain a serious concern. For now, it seems, Xi and Abe have agreed to meet on the sidelines of one of Asia’s biggest multilateral gatherings, but figuring out how to build that “political relationship of mutual trust” will require far more time and sustained attention by Asia’s two leaders. Managing the growing proximity of Asia’s two maritime powers, one established and one emerging, will also require new frameworks of regional confidence building.